Eutelsat Communications announced in June 2010 that it has selected Thales Alenia Space to build the 40-transponder Ku-band satellite Eutelsat W6A enabling a 50% increase in capacity operated at its 21.5° East location in geostationary orbit. 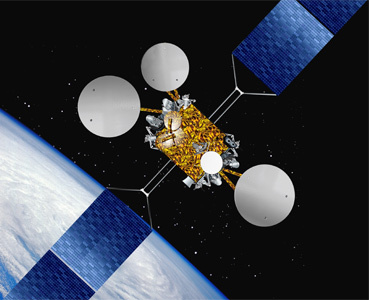 Scheduled for launch in third quarter 2012, the satellite will replace Eutelsat‘s W6 craft at a core neighbourhood anchored for data, professional video and government services across Europe, North Africa, the Middle East and Central Asia. Weighing in at five tons, the new satellite will be based on the Thales Alenia Space Spacebus C3 platform, with a scheduled in-orbit lifetime exceeding 15 years. It will be equipped with one broad footprint sweeping across Europe into North Africa and Central Asia, and two dedicated high-power beams to add increased flexibility for regional coverage of North Africa and the Middle East. In December 2011 Eutelsat announced, that their satellite assets will be renamed under a unified brand name effective from March 2012. This satellite became Eutelsat 21B.